At Furniture & Design we are well-known for our hand-made, bespoke kitchen furniture. But what some people don't know is that we design and build both fitted and free-standing furniture for every room in your home. We take pride and pleasure in analysing storage problems and awkward spaces so we can devise an innovative and stylish solution, uniquely created for you. Perhaps you run a business from home, but don’t have space for a separate office. 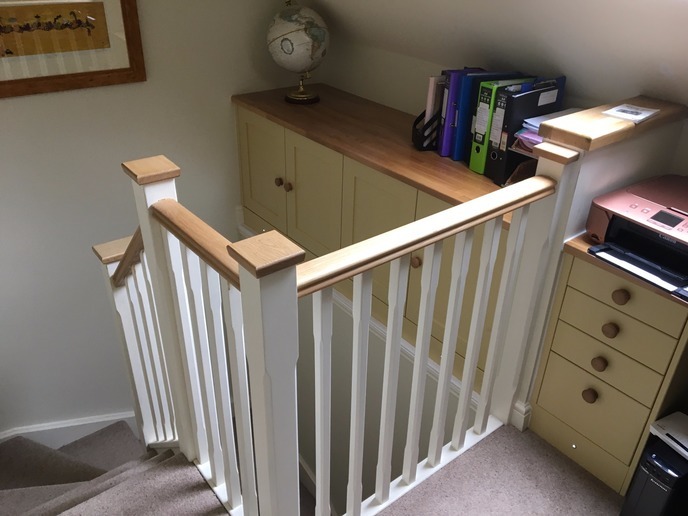 We can design and build furniture you can hide neatly away once the work is done, so you can turn your attention to teatime or telly watching, without tripping over the filing! If you would like to know more about your hand-made living space furniture please call us on 01865 370222 or 07779 272811, or alternatively click here to complete our short contact form.